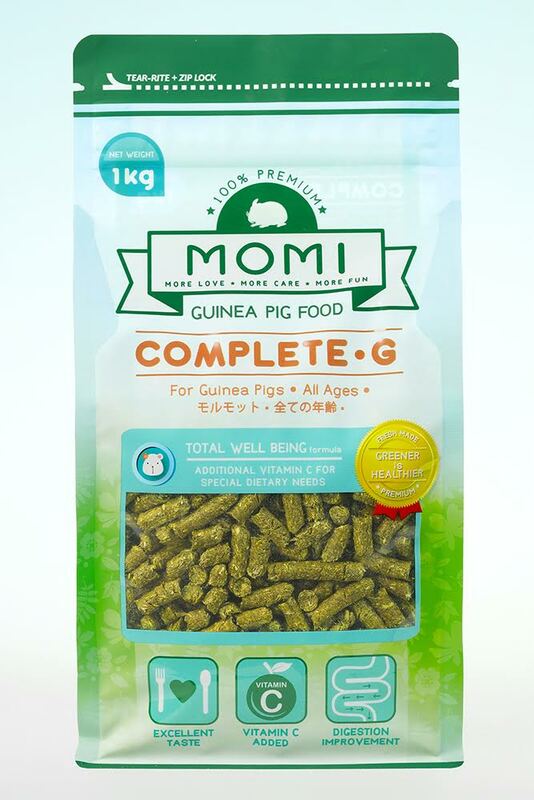 Momi Complete-G Guinea Pig Food is recommended for guinea pigs of all ages. There are No Cane Molasses, Soybean Meal & Hulls. Momi Complete-G Guinea Pig Food is recommended for guinea pigs of all ages. There are No Cane Molasses, Soybean Meal & Hulls.